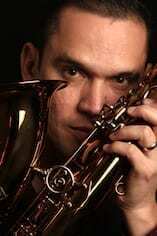 Born in Holguin, Cuba on January 1st 1971, Pedro Julio Aviles is the grandson and son of prestigious saxophonists. In 1989 he graduated from his city’s professional music school under the guardianship of teacher Alejandro Granado. He started working as a concert musician at the Holguin chamber orchestra, and played in numerous groups such as Arara, Caribe Nibor and his own band called Bueva Ola. In recent years he has collaborated in mainstream projects with artists like: Armando Manzanero, Emmanuel, Ricardo Montaner, Caribe Sound, Yuri, Iraida Noriega, Gloria Trevi, Ernesto D’Alessio, Gabriel Hernandez, Chucho Valdes, Diego “El Cigala”, Amaury Gutierrez, Franco de Vita, among others. In the jazz scene he has alternated with talented musicians like: Elvis Crespo, Olga Tañon, Jako González, Betuco, Joao Enrique, Felix Betancourt, Pepe Hernández, Miguel Valdes, Osmani Paredes, Jorge Brauett, Julio Quevedo, Alfredo Pino, Rey David Alejandre, Gerry López, Francisco Larrea, Ricardo y Roberto Benitez, Leo Corona, Alejandro Guardiola, Hilario Bell Rodriguez, Barbaro Perez, El duo Lu, Carlos Cuevas, Ezequiel Miranda, “Luri” Molina, Giovanni Figueroa, Jean Paul Bideau and Alex Gómez. His current venture is a new Latin Jazz project called ‘Cuba-Mexico’. This incredibly exciting new group is led by Pedro’s saxophones and vocals.